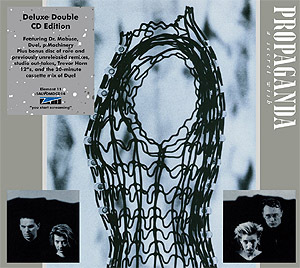 Like Yazoo a few years before them, Propaganda's recording career was painfully cut short... but they left us with a album that still generates a sense of analogue wonder with epic soundscapes. 'A Secret Wish' is timeless. It contains no gimmicky studio trickery that would betray its true age. The pop hooks still resonate and grab you between moments of breathtaking sequencing and orchestral arrangements as mighty as Holst. Brilliantly described as 'Abba in hell' by Paul Morley when the album was first released in 1985 on cassette and vinyl, producer Steve Lipson tweaked and expanded the album for its CD some months later and all these extended versions are included on the lavish and quite brilliant deluxe edition. There are other fascinating insights provided in the linear notes of this deluxe edition including a shocking suggestion regarding possible producers when it became clear that Trevor Horn was too busy (or felt that the source material was too 'dark'). 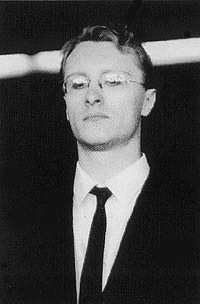 How did it all begin for Propaganda MK1 and how did your demos come to the attention of Paul Morley at ZTT? Was 'A Secret Wish' already completely in demo form by the time you signed to the London label? A long story - starting in 1982 - I try to cut it short. Firstly for the record: there never was a demo! 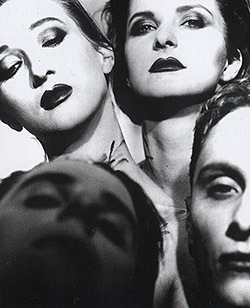 Propaganda Mk1 was a trio consisting of Susanne Freytag, Andreas Thein and myself. 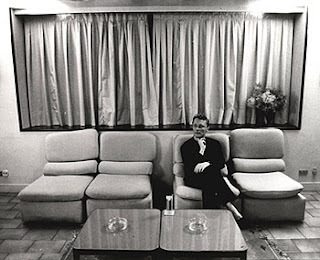 I started Propaganda after being ousted from Die Krupps early in 1982. My musical vision was to give machines a female voice. The name Propaganda actually was adapted from a track I had originally written for Die Krupps. Parts of its lyrics later re-appeared in Disziplin. Having an EP in mind we recorded two tracks stemming from material which evolved during sessions I conducted with Andreas in Cologne. We intended to get a release in the UK possibly on the label which had re-released my weird early German solo-recordings in England (Operation Twilight Records). I sent a tape of these first Propaganda recordings to Chris Bohn aka Biba Kopf. He was a NME colleague of Paul Morley and actually had championed all my weird early stuff in the NME at that time (something like 3 singles of the week in a row...). Chris informed Morley/Horn and when they signaled interest I put the negotiations about the EP on hold. All that took place pre-ZTT in 1982. A contract was signed in 1983 (when ZTT started to exist as a company). Propaganda was the first band (?) signed after Art of Noise but before FGTH. With the sudden option of recording with Trevor Horn certainly Propaganda's musical options had changed as well - the new vision was to go total pop! Suzanne brought in her friend Claudia - and I discovered Michael Mertens who was percussionist at the Dusseldorf Symphonic Orchestra - by the way he also had studied composition with Karl Bartos of Kraftwerk. 'Dr Mabuse' was released in 1984 but the follow-up single 'Duel' was pushed back to the following year with some citing the success of Frankie Goes To Hollywoood for the delay. Was this frustrating for you at the time and was Trevor Horn originally assigned to produce 'A Secret Wish'? One element of frustration was the 'tightness' of ZTT/perfect songs. They did take quite a while to realise that they had to make a financial input as we needed some kind of own equipment to pre-produce and compose properly. Michael and myself spent a publishing advance on equipment (among others the legendary PPG-system). In Dusseldorf we prepared new material (took quite a while). But these demos - of 'Dream Within A Dream', 'Duel' or 'P-Machinery' - very much resembled the recorded versions. On 'Dream Within A Dream' we tried out a trombone player from the Düsseldorf Orchestra Michael worked in. 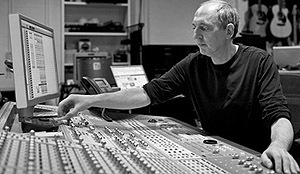 Steve Lipson was chosen to produce the album and did a fantastic job with the sonics behind the mixing desk. Were these recording sessions exciting to be a part of? Was there a sense that you were producing a template for future electronic music that would go on to influence acts including Depeche Mode and the Pet Shop Boys? But Lipson was essential and the perfect choice. I do not believe that we influenced DM or PSB which were around already - and DM were surely banging on metal because of Einstürzende Neubauten (or should I say Die Krupps), not because of Propaganda. How long did it take to complete the recording of 'A Secret Wish'? Many of the track's soundscapes are immensely complex and detailed even today's standards. Was the album actually completely and 'ready to go' in 1984? I do not recall exactly when we considered it 'done'. There were some deadlines - for sure. But date of completion most likely was last minute 1985. The process was speeding up after they had enabled us to do our own demo-ing. Shortly after the album's release, it was quick to gather rave reviews and admiration in the industry for its technical excellence and the album was regarded by many as being ahead of its time. Was there a sense that you had recording something special that would endure and appeal many years later? I always was of the opinion that you should only record/release something special - otherwise you are wasting people's time. But often what is special does not appeal..... straight away. Looking back to 1985, the year of Live Aid and the depressing return of 'stadium rock', do you think the album would have faired better commercially if released a year later? England is an island... and as a matter of fact the album - as well as the singles 'Duel' and 'P-Machinery' - did tremendously well on the continent (but not so much in Germany anymore - funnily enough). It was really successful in France and French-Canada, Southern Europe and - South America! In a lot of countries we outsold 'Pleasuredome' - so no complaints. It's difficult for the listener to see how 'A Secret Wish' could be improved musically or technically. When you look back at the recordings 25 years later, is there anything you would tweak or change? It's difficult for the ones involved as well. There are some annoying Linn-sounds (the bass-chip!). Which tracks are you most proud of? Are there any tracks from the recording sessions that didn't make the final tracklisting? The tracklisting - well, I do not like the idea of spoiling a debut with a cover version. Unless you want to make a statement. In my opinion it would have been much more of a statement to have a cover version of TG's 'Discipline' on the album instead of 'Sorry For Laughing'. And I think that too much of Susanne somehow got lost in production. We think that it is the greatest sequence of electronic noted and synth chords ever recorded. Do you remember much from the recording of this track and how this mix came about? And a good choice - would be mine as well. I adore relentlessly marching bass lines. It's harking back to early stages when 'Mabuse' was much more of a track without song structure - and the original equipment used in programming 'Mabuse' were 808 and 303. But not to forget chords: meisterworks from moodmaster Mertens. On the subject of remixes, ZTT were infamous for issuing multiple remixes of the same track within weeks of each other on different formats. Were all of these mixes ever presented to you for your approval or did you too have trouble keeping up with the sheer amount of mixes? Ever wondered about our bad hair days on the sleeve-shots for 'A Secret Wish'? 'Duel' is a spine tingly pop gem and was a modest hit whilst becoming the BBC's theme for it's RAC rally sports coverage throughout 1985. The single has gone on to be cherished by many who follow this genre and Sophie Ellis Bextor recently covered the track. What is it like to be involved with such an iconic and highly regarded track? As did Mandy (you know Bill Wyman wink wink...) years ago. In a way it was high-concept giving in to realism - an artistic failure. Because the initial concept was to have the duel (of noise and nice) fought out within the song. Maybe a middle-part-duel between dissonance and harmony - very dialectic, brain-heavy - a song for PM. Didn't quite work out - but luckily at that time there was still the concept of a single. So the dueling parts became A- and B-side. 'A Secret Wish' is such a lush and rich recording much like Heaven 17's 'A Luxury Gap' that also used a real orchestra and only recently broke even. How much did it cost to record 'A Secret Wish'? Was it a hugely expensive album to record? And we recouped in the 90s. Tell us about the interaction between Steve Lipson and the band in terms of the actual production and execution of the music, i.e. who chose the sounds and rhythms, and arranged the songs etc. It has to be said that after we were enabled to work on the material in Dusseldorf a lot of the material kept most its structure. But Lippo - and not to forget the THeam! - were essential to provide another sound dimension we would not have achieved otherwise. 'P-Machinery' boasts two impressive cameos with bleeps provided by David Sylvian and distinctive chants from Heaven 17's Glenn Gregory. How did you get them on board for this single? You are not referring to my distinctive 'Motor' chant at the beginning of 'P-Machinery'? Moritz von Oswalt on drums (who much later transformed into Maurizio, Basic Channel!) and John McGeoch on guitar. And Glenn was around a lot - we shared the management of Heaven 17 at that time. 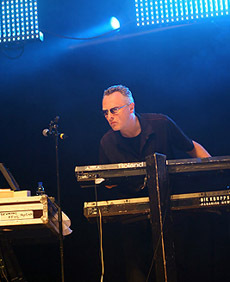 Just months after the release of 'A Secret Wish', ZTT took the bizarre decision to release the remix album 'Wishful Thinking' against the wishes of the band. What was the logic behind ZTT's thinking to rush release such a project and did you have any input in the remixes? Logic? - the only logic involved was a solid state (muso inside joke!). How dare Morley! - It certainly was not up to the standard set by 'Love & Dancing'. As a fan I wasn't too impressed with this remix album and it seemed like a wasted opportunity and odd considering how good the ZTT remixes had been up to that point. Was it the release of this ill-timed remix album that made you seek legal advice? Just imagine how it could have sounded with Mantronix at the desk. Or even Paul Rutherford! I did not expect that from an 'independent' label - and felt a bit like The Clash when they had their 'Complete Control' -situation with CBS. A lawyer would later advise you that Propaganda were never likely to make any money from the ZTT contract. Is this why you decided to split the band rather than carry on and had work began on a follow-up to 'A Secret Wish'? The band did not intend to split. 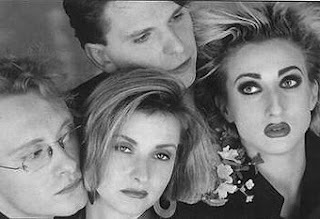 But what has to be understood about the post-Secret-Wish-period is that the band (except Claudia) got a court injunction by ZTT which meant frozen accounts and no possibility to work (in music) anymore - i.e. no recordings, no live activity. Propaganda was silenced! - the singer continued. Propaganda would later surface again in 1990 with only one original member and a pleasant enough single 'Heaven Give Me Words' in 1990 that was surprisingly written by Howard Jones. What are your thoughts now on this strange attempt to relaunch Propaganda and do you personally now have more control over the band's name and back catalogue? At the end of the 80s we came to a compromise with ZTT - and exchanged back catalogue for freedom! - i.e. the injunction was lifted. After years (!) spend with legal matters we (i.e. Suzanne, Michael, and myself) were released from the ZTT contract - and kept the name. Although - in my opinion - the impetus was gone and too much energy had been spend on legal matters we wanted to continue as Propaganda - to prove that ZTT did not finish us off. So in fact a new deal with Virgin Records was signed in 1988 - by a band which consisted of three Mk2 Propagandists, a new singer (which in a way Susanne had casted) and two Simple Minds (Brian and Derek). Were you invited by ZTT to be involved with the new 25th anniversary edition of 'A Secret Wish'? Claudia was in touch. And the curator Ian Peel did a very good job. Respect. In the late 90s, the original line-up began to record demos that including guitar parts from Martin Gore who was a big fan of 'A Secret Wish' with Claudia back on vocals. What went wrong with these sessions and why did it all fall apart so quickly? I am not in a position to answer that as I was not involved. But maybe this is an answer as well. What are relations like now with former band members? You reformed briefly for two live appearances, one for German TV and a superb rendition of 'Dr Mabuse' at Wembley Arena for a Trevor Horn celebration in 2004. Is there any chance of future live outings for the original line-up? But unlike Abba, Ace of Base or Fleedwood Mac we didn't have any interband-fiddling around. So relations are fine and we leave the attorneys at home when we meet. Many acts from the 80's are suddenly announcing tours and performing concerts for 'classic' albums which is becoming a bit worrying as some of these albums were never regarded as 'classics' anyway (UB40 etc). With its dramatic orchestration and filmic soundscapes, will we ever see a time when you will perform 'A Secret Wish' in full? With regard to that concept: I do not get it and frankly I consider it to be quite pretentious. An album is an album and a live show is a live show in my opinion. The dynamics of an LP (2-sides, no more than 45 min) differs from the needs of a live performance - unless you have a song-cycle. But I enjoyed John Foxx doing 'Metamatic' recently in London - or Heaven 17 when they played 'Penthouse & Pavement' in Cologne. On the other hand Throbbing Gristle playing totally new material in Berlin I found also exiting. But coming back to your question: it could never happen - I would refuse to play 'Sorry For Laughing'. Electronic music has seen something of a chart revival lately with a move back to 'traditional' analogue synths and big hooks. Are there any acts that have impressed you lately? I love CLIENT who delivered their best works maybe a bit too early to get well deserved chart recognition. Who are your biggest influences in electronic music and what do you personally consider to be the greatest electronic album of all time? All that happened in the 70s but didn't really make me start making electronic noises. That trigger definitely was Daniel Miller's 'Warm Leatherette'. With huge thanks and much respect to Ralf Dörper. Thanks also to Ian Peel for his amazing work on the deluxe 'A Secret Wish' and Babooshka for Q&A feedback.